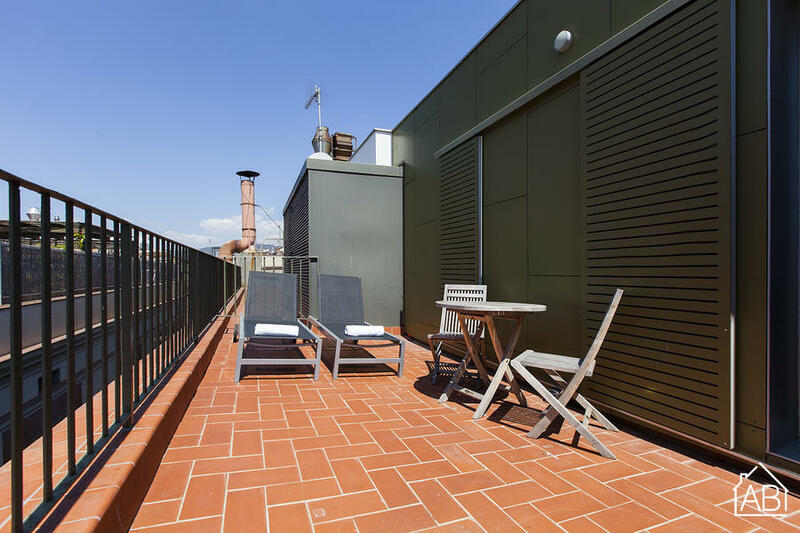 This is a modern and bright apartment situated in the heart of Barcelona close to Las Ramblas. The apartment itself has one bedroom and has a capacity of up to four people. The décor of the apartment is stylish and modern, with parquet flooring throughout, and there is a spacious and sunny roof terrace where you can enjoy the views of Barcelona. The living room has a comfortable double sofa bed, a TV with satellite, and a dining table, while the kitchen is fully equipped with all of the appliances and utensils you would need to prepare your home-cooked meals. The bedroom is well decorated and has two single beds. The bathroom is bright and has a walk-in shower. Not only in a brilliant location, this fantastic apartment has both heaters and air-conditioning ensuring tenants are comfortable all year round!